You’ll be hard-pressed to find an online casino that doesn’t offer some sort of welcome offer for their new players. In this business, it is seen as a standard perk that registering should be rewarded with bonuses, free spins and other treats. It’s a great way to attract new customers to their site and it makes their first moments playing the games memorable and fun. With so many welcome offers to choose from out there, online-casino.ie is looking at as many deals as possible so you can find the casino that’s right for you. At Hopa Casino, their introductory bonus on the first deposit might seem small, 100% up to €50, but it’s just the beginning of a welcome package that will last for at least the first 5 days. The second and third deposit bonuses come with 25% up to €200 and 50% up to €250 to enjoy anywhere in the casino. On top of all of that, you’ll receive free spins on selected games every day for five days from the moment you sign up. These include big name slots such as NeoGames’ Fruity Friends and NetEnt’s Starburst. The biggest and best promotion available to all Hopa Casino players is their Rewards Program which sees the most loyal players rewarded with points that they collect and exchange for cash. As you move up the rankings, you can enjoy more and more benefits like better exchange rates for your Reward Points, a quicker withdrawal process and your very own account manager. With every new level you gain, there’ll be a special offer waiting for you, be it free games, bonuses or cash back. The top tiers can be accessed by personal invitation only and grant you access to every special offer available, such as competitions and cashback schemes. 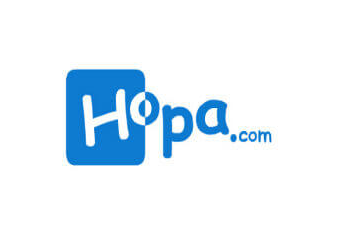 Day to day, you will find there are all sorts of perks to playing with Hopa with daily surprise bonuses and live tournaments keeping everyone entertained. Often, a player will be required to make no deposit to benefit from all these goodies. In 2018 you could have taken part in the Last Survivors competition where the only aim was to log in and play for as many consecutive days as possible until you were the last one standing. The top prize was a whopping €1,000 and the competitors stuck it out for hundreds of days. Hopa Casino is available to play on the go through their apps for Android and iOS, which allows the user to play over 35 of the most popular games on their phone without the need for downloads. Differing from the black background of the site, the app has a pleasing blue colour scheme and an accessible layout. If you want the full Hopa Casino experience on the go, it can always be found when you access the site from your mobile browser. The mobile site does not provide the same level of accessibility as the app but you will find every game like you would find it on your desktop. When it comes to casino bonuses, it’s always best to read every letter of the small print before making the decision to take part. There are a few things you can look out for when you consider a new promotion for the first time. Everyone familiar with online gambling will know about wagering requirements and the important part they play in promoting responsible gambling and preventing money laundering. However, newcomers might be surprised to find out that their bonus money might not be available for withdrawal as soon as they anticipated. Most casinos will require that if you receive a bonus or winnings from free spins, that balance must be played through a certain number of times before it is released as cash. Hopa Casino stipulates wagering requirements of 35x on their Welcome Package, which is fairly standard for the online casino industry. You will also find that not every casino game contributes to the wagering to the same amount, with most slots contributing 100% and selected other games contributing 50% or less. There are some games that do not contribute anything to the wagering, which are mostly card and table games. Depending on your preferred playing style, you might want to think twice about a casino offer before accepting it. Other limitations that might not come to mind are expiration dates on bonuses and free spins and caps on how much you can win.